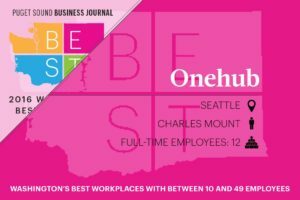 This month, The Puget Sound Business Journal (PSBJ) confirmed what everyone here already knew — Onehub is one of the best places to work in Washington State! 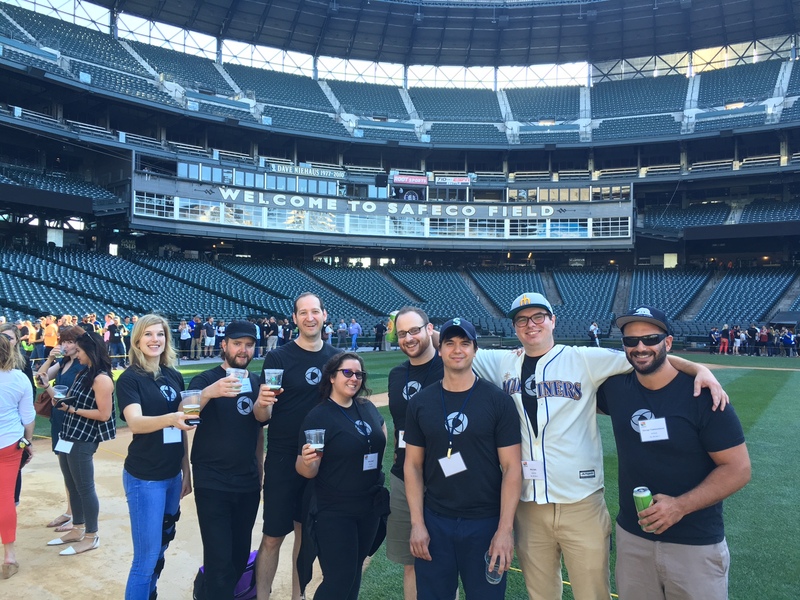 Close to 300 companies were nominated for the honor, with Onehub being named one of Washington’s “Best Workplaces” with 10 – 49 employees. The award was given at a ceremony on August 11 at Safeco Field in Seattle. Seattle has a rich history of being a technology powerhouse, and that trend is only accelerating as more companies move here to open up offices in the Emerald City. Competition for talent is tough and being designated a Best Workplace will signal to potential hires that Onehub is an awesome home for their talents. 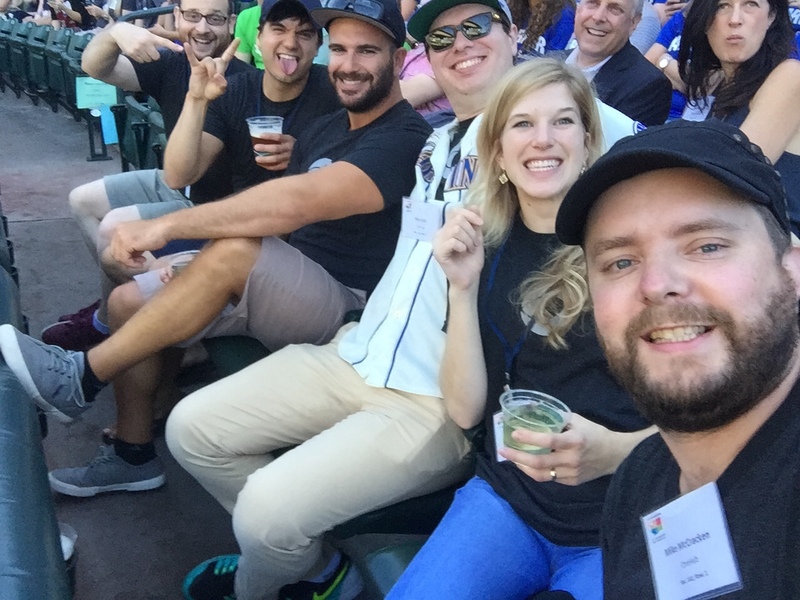 We’d like to thank the Puget Sound Business Journal for this honor and we’d like you to know that we are always on the lookout for great people to join our team. If you love creating beautiful software and want to work at one of the (official!) 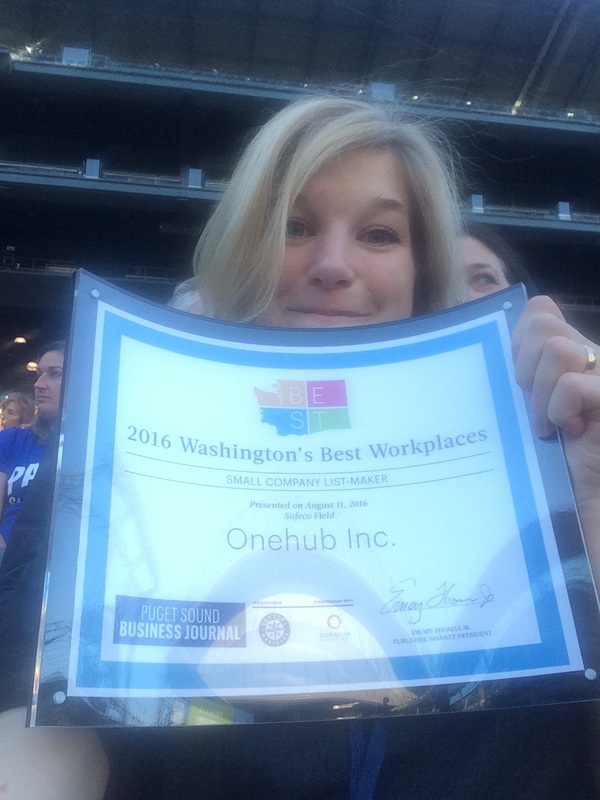 best places to work in Washington, drop us a line at jobs@onehub.com! 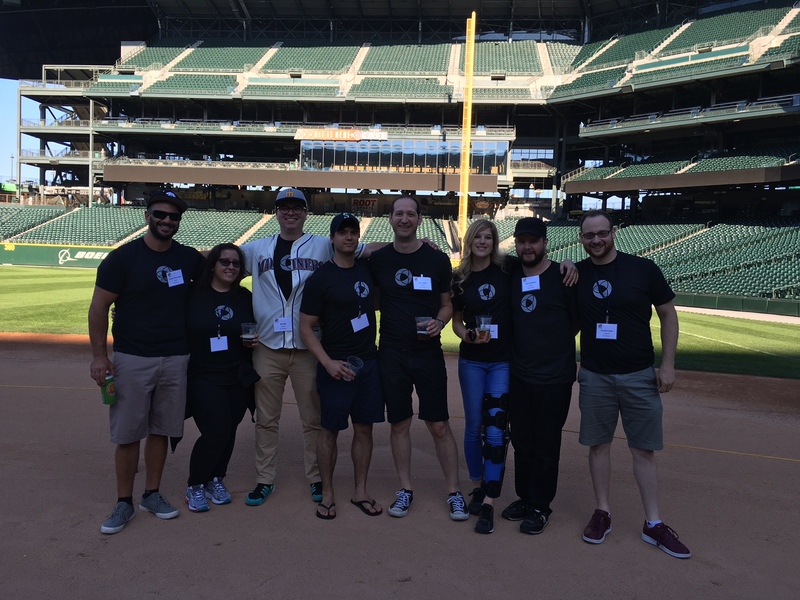 In the meantime, enjoy some photos of the Onehub team at the PSBJ Best Workplace ceremony! This entry was posted in News and tagged Best Workplace by Chris Albrecht. Bookmark the permalink.